For several years this was the official site for the Intelligent Use of Water Awards, an interactive grant program from the RainBird Corporation that awarded funds to water conservation and environmental sustainability projects that promoted green spaces. Content is from the site's 2009 -2011 archived pages as well as other outside sources. The Intelligent Use of Water Awards is an interactive grant program that awards funds to water conservation and environmental sustainability projects that promote green spaces. A global initiative, any Internet user can submit a project via the Intelligent Use of Water Awards website at www.iuowawards.com and promote it within his or her own community. All projects can be anonymously voted upon by visitors (one vote a day per project, per individual user), and the projects with the most votes will receive funding from Rain Bird according to their funding category. Rain Bird will award four $1,500 projects, three $5,000 projects, and three $10,000 projects. Established in 2008, the annual Intelligent Use of Water Awards program recognizes individuals and organizations whose innovation, leadership, ingenuity and dedication to the management and protection of Earth’s most precious natural resource through improved landscape water-efficiency raises the standard for outdoor water conservation. After three years of honoring individuals and organizations for their completed projects, The Intelligent Use of Water Awards program was revamped in 2010 to help fund future water conservation projects. The interactive approach to this year's program will help Rain Bird serve a broader range of projects that seek to intelligently manage water and preserve green spaces. In 2009, The Intelligent Use of Water Award went to Naples Botanical Garden, Inc. in Naples, Florida, for their commitment to sustainable green building practices in the design of their gardens. 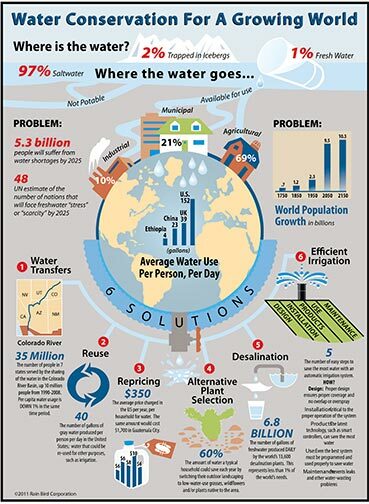 What is the Intelligent User of Water Awards program? The Intelligent Use of Water Awards, now in its fourth year, is an interactive grant program that awards funds in $1,500, $5,000 or $10,000 funding categories to water conservation and environmental sustainability projects that promote green spaces. Based in Azusa, Calif., Rain Bird Corporation is the leading manufacturer and provider of irrigation products and services. The projects with the most votes in each of the funding categories by the end of the voting period, March 1, 2011, will receive the funds according to its particular funding category. The winners will be announced on World Water Day, March 22, 2011. You do not need to register on the site to vote. Simply find the project you want to vote for and click the "vote" button. You can vote up to ten times per day. Register for an account. Go to the Project Management page and click on "Create New Project". Enter a description of your project and add photos and/or a YouTube embed to help promote the project. Share the project on your social media sites using the widgets provided and try to get your friends, family, and local community to vote for it. What type of project should I submit? Any project that uses intelligent water design, promotes green spaces and sustainability will be accepted. Look around your community and see what is needed. No, you can only submit one project. I submitted my project, but it is not showing up. All projects must be approved and so it is in the vetting process. This could take one to two business days. If your project was not accepted, you will receive correspondence from the Intelligent Use of Water Awards team explaining the criteria needed for the project to be approved. I am having a technical problem, who do I contact? Send an email to tech@iuowawards.com and a representative will help trouble shoot your problem. The Intelligent Use of Water Awards is an interactive grant program that awards funds to water conservation and environmental sustainability projects that promote green spaces. A global initiative, anyone with access to the Internet can submit a project via the Intelligent Use of Water Awards website at www.iuowawards.com and promote it within his or her own community. All projects are anonymously voted upon by visitors (one vote a day per project, per individual user), and the projects with the most votes will receive funding from Rain Bird according to their funding category. Established in 2008, the annual Intelligent Use of Water Awards program recognizes individuals and organizations whose innovation, leadership, ingenuity and dedication to the management and protection of Earth’s most precious natural resource through improved landscape water efficiency raises the standard for outdoor water conservation. In 2008, Christopher Gray of Marvel Golf Club in Benton, Kentucky, demonstrated innovation for his proactive development and implementation of water conservation programs both on and off the golf course. The first winner in 2007 was a five-acre garden near El Cajon, California, The Water Conservation Garden, that showcased water conservation through a series of themed gardens and robust educational programming. Based in Azusa, Calif., Rain Bird Corporation is the leading manufacturer and provider of irrigation products and services. Since its beginnings in 1933, Rain Bird has offered the industry's broadest range of irrigation products for farms, golf courses, sports arenas, commercial developments and homes in more than 130 countries around the world. Rain Bird has been awarded more than 130 patents, including the first in 1935 for the impact sprinkler. Rain Bird and The Intelligent Use of Water is about using water wisely. Its commitment extends beyond products to education, training and services for the industry and the community. Rain Bird maintains state-of-the-art manufacturing assembly facilities in the United States, France, Sweden and Mexico. The Intelligent Use Of Water Awards Program Invites Public To Submit And Vote For Their Favorite Water Conservation Projects. AZUSA, CALIF. - (Nov. 5, 2010) – Rain Bird announced today the launch of The Intelligent Use of Water Awards program, an interactive grant program that will award more than $50,000 to water conservation and environmental sustainability projects that promote green spaces. 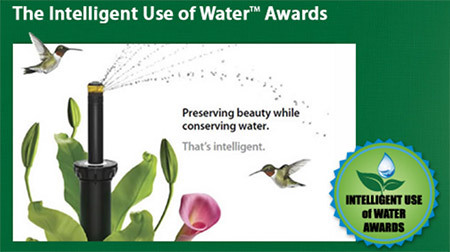 Open to nonprofits, homeowners, schools, landscapers, facility managers, community organizations, students, retailers, weekend gardeners or anyone with a water conservation project that supports sustainability and green spaces, The Intelligent Use of Water Awards program invites the public to submit projects in need of funding at www.iuowawards.com. Participants log on to iuowawards.com, choose a funding category ($1,500, $5,000, or $10,000), describe the project, upload photos and/or embed YouTube videos, and then convince friends, family and others to vote for the project through online social networks using the site’s built in sharing functions. Submitters can also utilize the Facebook application to automatically update their Facebook status with a reminder to vote for their project each week. Once a project is submitted it is made available for public voting, meaning anyone can anonymously cast their vote for their favorite project. All projects can be anonymously voted on by visitors (one vote a day per project, per individual user), and the projects with the most votes in each funding category will be awarded a combined $51,000 in grants to be used towards the completion of their winning project. Winners will be announced on World Water Day – March 22, 2011. Established in 2008, the annual Intelligent Use of Water Awards program recognizes individuals and organizations whose innovation, leadership, ingenuity and dedication to the management and protection of Earth’s most precious natural resource through improved landscape water-efficiency raises the standard for outdoor water conservation. After three years of honoring individuals and organizations for their completed projects, the 2010 Intelligent Use of Water Awards program aims to encourage and fund future water conservation projects. In developing the program, Rain Bird has assembled a team of partners that share the common goal of helping individuals and organizations make an impact in their community through the Intelligent Use of Water. Partnering in support of the Intelligent Use of Water Awards program are The Alliance for Water Efficiency, The American Society of Golf Course Architects (ASGCA), The Golf Course Superintendents Association of America (GCSAA) and the Environmental Institute for Golf (EIG), Golfdom magazine, Growing A Greener World, Landscape Management magazine, The National Gardening Association, Pebble Beach Resorts, Project WET, Smart Approved WaterMark, The Gardener Guy, and The Groundwater Foundation. Congratulations to the 2010/2011 Intelligent Use of Water Awards winners and thank you to everyone who participated in this year's program. 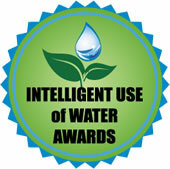 Please check back this Fall for our 5th annual Intelligent Use of Water Awards. Entries begin November 2011. Composting Toilets for CollegesComposting toilets are a sanitation solution that allows waste to naturally decompose into an organic fertilizer. AZUSA, Calif.--(August 20, 2009) -- Rain Bird, the leading manufacturer and provider of irrigation products and services, has announced the finalists for its 2009 Intelligent Use of Water™ Leadership Award, recognizing individuals and organizations for their leadership roles in the management of Earth’s most precious natural resource. Each finalist was selected by an independent panel of judges based on a set of pre-determined criteria that includes demonstrated water savings, landscape preservation, innovation and overall impact on the community. One finalist will be named winner of the third annual award at the WaterSmart Innovations Conference and Exposition in Las Vegas, Nevada, October 8, 2009, where they will be awarded $10,000 and featured in a short film highlighting their contributions to outdoor water conservation. A drought in the summer of 2001 provided an opportunity for Council on the Environment of New York City (CENYC) to challenge public perception about urban water conservation. 2 CENYC spearheaded the creation of the Water Resources Group, a coalition of environmental organizations dedicated to finding ways to conserve and reuse water. One of those solutions developed into encouraging and helping build urban rainwater harvesting (RWH) systems, which divert water from adjacent roofs or garden structures into tanks as large as 1,000 gallons. Stored water from RWH systems is then used for community gardens and landscapes. CENYC has steadily built or helped build over 40 systems throughout the City’s five boroughs, collecting as much as 500,000 gallons of water annually. In 2008, CENYC signed a contract with the Department of Parks and Recreation to build 20 new RWH systems in New York City community gardens. To date, three of the five systems built for the department have been integrated into major food growing operations for a local soup kitchen, livestock feed and a local farmer’s market. Considered paradise by island visitors and residents alike, Hui o Ko'olaupoko works to preserve the natural beauty and organic watershed processes in Hawaii’s Ko'olaupoko region of Windward Oahu. Recognizing the need to change attitudes towards environmental stewardship and subsequent behavior at the community level, the organization developed Kaha Garden in 2007 as a living example of how homeowners can use native and indigenous landscaping to improve water quality. The project replaced grass and invasive species along 150 yards of stream bank with native Hawaiian plants that are used to stabilize soil, reduce runoff and facilitate natural filtration of water. Hui o Ko'olaupoko has also instituted extensive local programs to educate visitors and students on the benefits of native landscaping and best water management practices. The effort has resulted in heavy grassroots community involvement, noted by nearly 1,000 volunteer hours at the garden this year. In an area with a problematic history of pollution and fertilizer runoff in communal waterways, Naples Botanical Garden is committed to high performance and the integration of sustainable green building practices into the design of their gardens. Having adopted the water use goals for LEED Gold Certification, the garden is a leader in freshwater conservation and management and incorporates numerous water conserving features into its design. Parking lot bio-swales capture rainwater that filters through the ground, carrying water to the giant entry feature bioswale, the Rain Garden. A “River of Grass” garden feature serves as a natural filtration system before the water is slowly released to the preserve area. The primary irrigation system for the garden implements soil moisture detectors that direct water as needed through drip emitters. The system has allowed the garden to reduce water use by 50 percent. Located on the scenic Southern Californian coast, Quail Botanical Gardens is committed to being a leader in water conservation for the drought-prone region. The garden offers numerous classes and workshops that encourage smart water usage in residential landscaping, such as “South African Plants for a California Garden” and “Designing with Succulents.” For the past five years, Julian Duval, CEO of the gardens, has promoted low-water-use plants through a gardening segment on San Diego’s KUSI-TV. Public outreach has also extended via a partnership with the San Diego County Water Authority to create two educational videos focusing on water conservation activities and landscaping. The garden demonstrates these incorporated methodologies in their own backyard by using xeriscaping and indigenous plants, recycled water, weather-based controllers and low-water irrigation tools. Today, 70 percent of the garden’s plantings require little or no water. A systemic interconnectedness between landscape, buildings and systems makes Queens Botanical Garden a “living museum” for visitors and employees. The first newly constructed building in New York State to earn a platinum LEED certification, the garden’s visitor and administration building features a green roof and a rainwater harvesting system. The garden’s paved vehicle surfaces are made of gravel to slow and filter rainwater, and the paved walkways and paths slope to a biotope where water is cooled and cleansed in a cistern for future use. A large rain garden handles overflow water from the biotope, and native plants support the necessary water functions of the various garden spaces in a naturalistic, ornamental planting approach. All of Queens Botanical Gardens water conservation efforts work in harmony to ease New York City’s overburdened sewer and wastewater systems, thus reducing pollution in Long Island Sound. Judging this year’s nominations are an independent panel of landscape and water-efficiency experts, each with a unique understanding of the relationship between better landscape designs and reduced landscape water waste. The 2009 judges are Dan Stark, Executive Director of the American Public Gardens Association; Marty Eberhardt, Executive Director of The Water Conservation Garden in El Cajon, California and winner of the 2007 Intelligent Use of Water Award; Denis Gourdeau, Water Management Lead, City of Calgary Parks, Alberta, Canada; and Christopher S. Gray, Sr., Golf Course Superintendent at Marvel Golf Club in Benton, Kentucky and winner of the 2008 Intelligent Use of Water Award. AZUSA, Calif.--(October 9, 2009)--Rain Bird, the leading manufacturer and provider of irrigation products and services, has announced that Naples Botanical Garden is the winner of the 2009 Intelligent Use of Water™ Leadership Award, recognizing the organization’s leadership in the management of Earth’s most precious natural resource. The garden, located in Naples, Florida received $10,000 from Rain Bird and was featured in a short film highlighting the organization’s unique approach to water conservation at a special event held at the 2009 WaterSmart Innovations Conference and Exposition in Las Vegas. In an area with a problematic history of pollution and fertilizer runoff in communal waterways, Naples Botanical Garden is committed to the integration of sustainable green building practices into the design of their gardens. Having adopted the water use goals for LEED Gold Certification, the garden is a leader in freshwater conservation and management and incorporates numerous water conserving features into its design. Parking lot bio-swales capture rainwater that filters through the ground, carrying water to the giant entry feature bio-swale, the Rain Garden. A “River of Grass” garden feature serves as a natural filtration system before the water is slowly released to the preserve area. The primary irrigation system for the garden implements soil moisture detectors that direct water as needed through drip emitters. The system has allowed the garden to reduce water use by 50 percent. Naples Botanical Garden was one of five finalists for the 2009 award that included Quail Botanical Gardens (Encinitas, CA), Hui o Ko'olaupoko (Kailua, HI), Queens Botanical Garden (Queens, NY) and the Council on the Environment of New York City (New York, NY). Each finalist was selected by an independent panel of judges based on a set of pre-determined criteria that included demonstrated water savings, landscape preservation, innovation and overall impact on the community. As the 2009 State of the Union Award winners, each wins a spot on the panel of Rain Bird’s Intelligent Use of Water Summit XI, to be held at the Smithsonian Institution in Washington, D.C. in April 2010. As panel members, they will have the opportunity to showcase their awardwinning case study to an audience of U.S. and international water management leaders. Judging this year’s nominations were an independent panel of landscape and water-efficiency experts, each with a unique understanding of the relationship between better landscape designs and reduced landscape water waste. The 2009 judges were Dan Stark, Executive Director of the American Public Gardens Association; Marty Eberhardt, Executive Director of The Water Conservation Garden in El Cajon, California and winner of the 2007 Intelligent Use of Water Award; Denis Gourdeau, Water Management Lead, City of Calgary Parks, Alberta, Canada; and Christopher S. Gray, Sr., Golf Course Superintendent at Marvel Golf Club in Benton, Kentucky and winner of the 2008 Intelligent Use of Water Award.